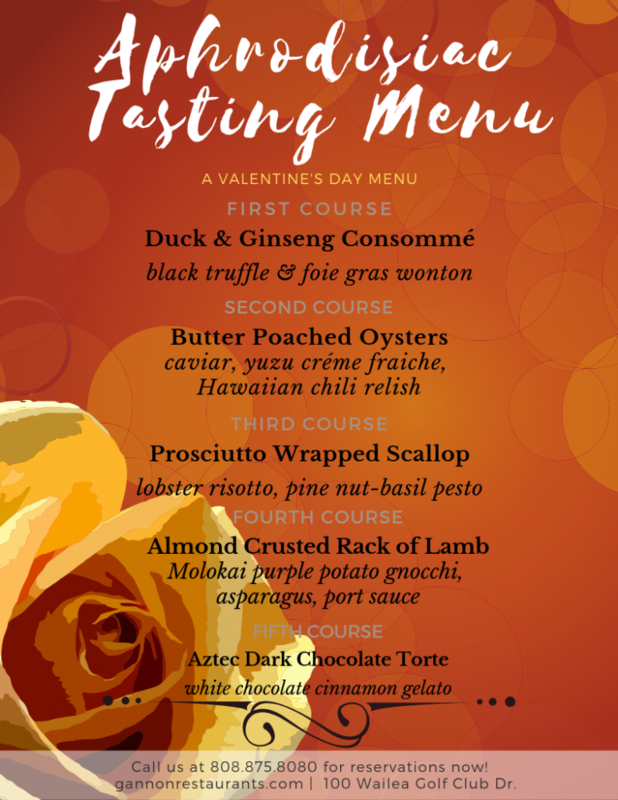 Looking for a unique dining experience on Valentine’s Day? Be enchanted as you sit along Maui’s most romantic sunset view and indulge in our five-course menu. Regular menu and happy hour are also available. Call us or book your reservation now for an evening that is sure to impress!